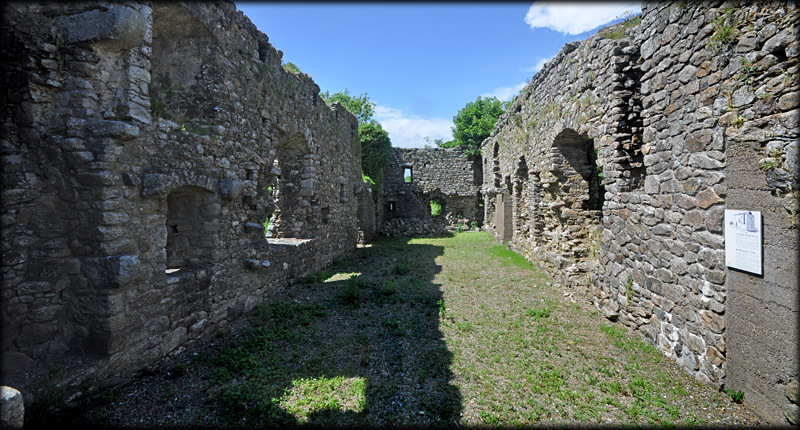 The castle at Rathumney - from Ráth Omna (Ring fort of the tree) is a rare example of a Cistercian grange building. 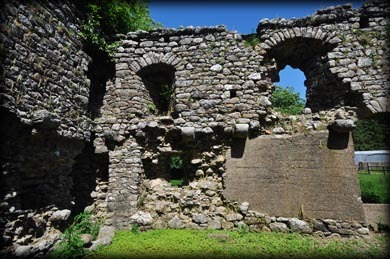 Built by the Prendergasts in the 13th century as a hall-house, it consisted of two storeys. The ground floor was used for storage and had a kitchen and living quarters for the servants. The upper floor was used by the monks for meetings and public gatherings. 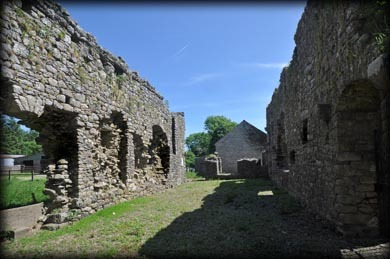 In the 14th century it was common for the Cistercians to lease their granges to the secular community. A John Barry was in residence at Rathumney in 1427. 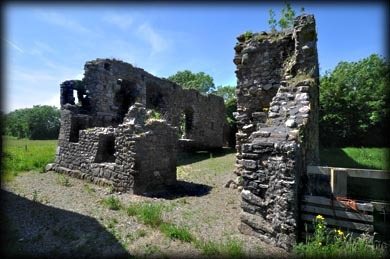 Sometime after the dissolution of the monasteries in 1536, Rathumney was held by Sir Anthony Colclough, who also held Tintern Abbey. The current owners of Rathumney, believe King John II stayed overnight at Rathumney on 2nd July 1690, before travelling to France. All that remains of the hall-house today is the outer shell, all the inner walls have been removed. The windows and doorways have also been removed, some of it by the O.P.W. to maintain Tintern. In the northwest corner of the building are the remains of a small turret that was a later addition. The hall-house stood in the north-east corner of a, now missing, bawn. Situated: From Wellington Bridge travel west on the R733 after 8 kilometres right onto the R734. 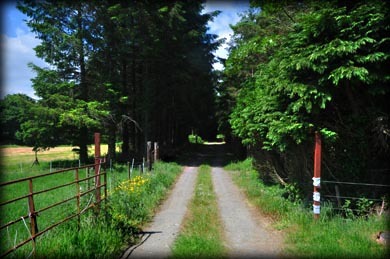 The castle is on a farm, about 6 kilometres down this road, shortly after a graveyard on your left. Please ask for permission. Discovery Map 76: S 7678 1654. Last visit June 2016.